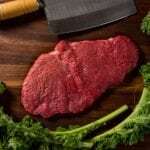 Buy Premium Grass Fed Round Steak. Delivered Direct from Producer. The aged Grass Fed Round Steak is a lean and flavorful cut, however, it can be tough if overcooked. The grass fed Round steak is cut from the Round (rear leg) part of the animal. Round steaks are versatile in the kitchen and can be used for breakfast steaks, Philly cheesesteaks, Italian beef and more. Top chefs recommend cutting the meat diagonally (against the grain) to enhance the tenderness. 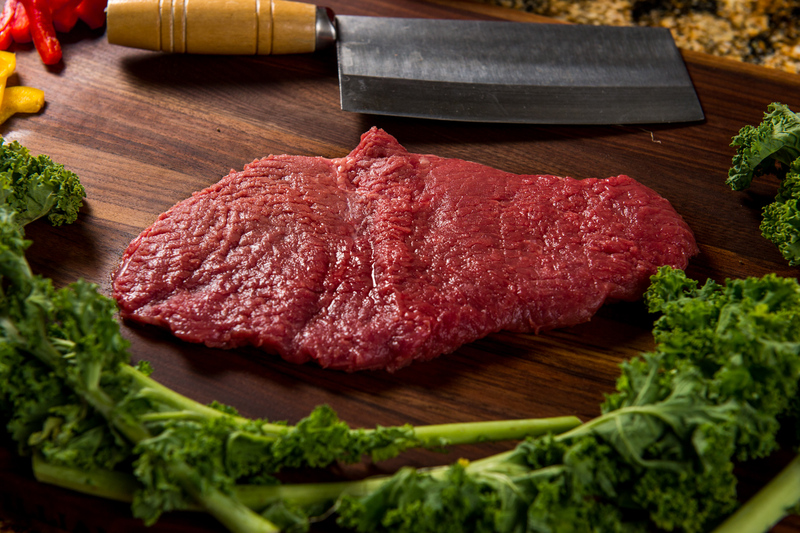 Buy a delicious aged Grass Fed Round Steak today! 100% Satisfaction Guarantee. How It Works: Build your own Custom Grass Fed Beef Box, or add a Grass Fed Round Steak to one of our Grass Fed Beef Packages. Round steaks are available in 1 lb increments. Each Round Steak weighs approximately 1 lb (16 oz). About Our Grass Fed Beef: Our family has been producing premium grass fed Angus beef for over a decade. We are now offering our ‘small batch’ grass fed Round Steaks for sale. We offer only 100% All Natural Free Range Grass Fed Beef: NO GMOs. NO Additives. NO Added Hormones. NO BS. Gluten Free. Our premium Angus beef is aged for 21 days for a delicious ‘beefy’ flavor, tender texture and deep natural color. Know where your food comes from — order grass fed beef direct from the producer (that’s us!). 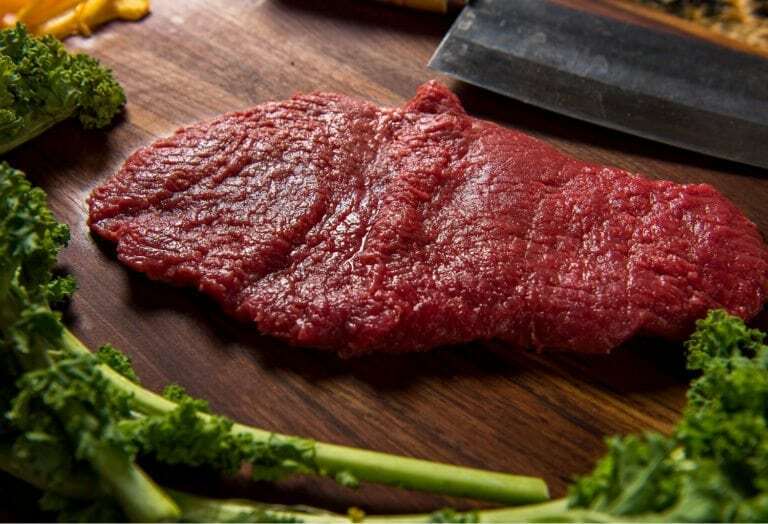 Grass Fed Round Steak Direct from Producer – Buy premium aged grass fed beef Round Steak, direct from the producer (that’s us). Our family has been sustainably raising premium Angus beef for over a decade in Colorado and Kansas. We are now offering our ‘small batch’ grass fed beef for sale. 100% All Natural Angus Beef – Our beef is 100% All Natural. NO Added Hormones. NO Additives. NO GMOs. NO BS. Gluten Free. 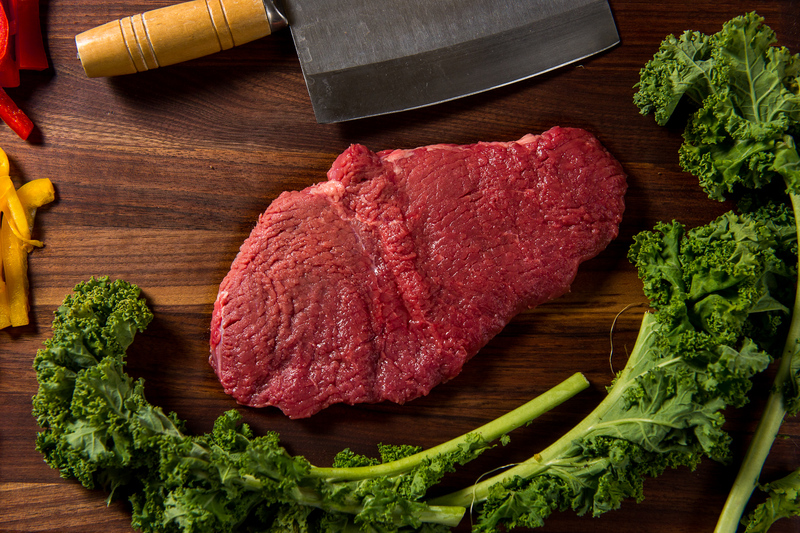 Buy Premium Grass Fed Round Steak Today – Buy a delicious aged Round Steak today and save! Join Our Grass Fed Beef Club (monthly subscription) and Save! – Subscribe to our Grass Fed Beef Club and receive Free Shipping! Use less cooking time when grilling or frying (about 20-30% less). Shipping: Free Local Delivery (Kansas City Metro); $19.95 nationally (up to 10 lb total). Local delivery available in the Kansas City (KC metro area), Tuesday-Friday. Contact us at (800) 373-5210 — we’re available Monday-Saturday.